Greece should restructure its debt and implement interest rate cuts in order to qualify for a fresh aid from the International Monetary Fund, the organisation’s chief said on Wednesday, The Independent reports. In an interview with German public broadcaster ARD after meeting German Chancellor Merkel, Christine Lagarde said that the IMF had been encouraged by the progress made by Greek authorities so far. 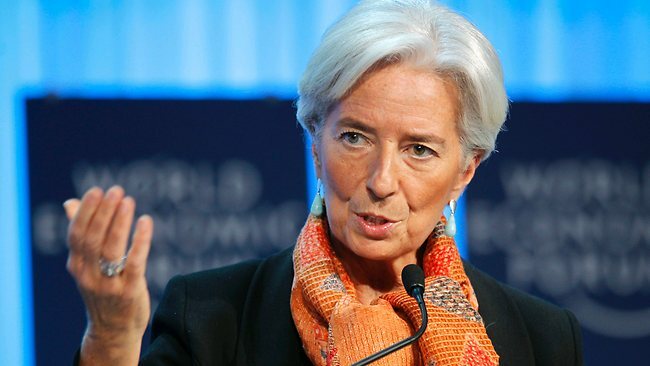 She added, however, that the country should implement pension and income tax reforms demanded by the IMF as one of the conditions for a fresh bailout. The latest bailout is due to end in 2018. She said that the “second leg” of Greece’s efforts should be to restructure debt. How much it needs to be restructured, will depend on “how much reform, how [much] progress, how strong the Greek economy is at the end of the programme," Ms Lagarde said. f reforms are done in the right way, the country would not need a haircut, but simply “a significant extension of maturity” of that debt and a “significant interest rate capping,” Ms Lagarde added. She said that both of those things would have to be “discussed in greater details later on as progress is made on the reform front”. Greece and its international lenders agreed on Monday to let teams of experts figure out a slew of new reforms to pensions, income tax and the labour market that would allow Greece to qualify for more state support, euro zone officials said.